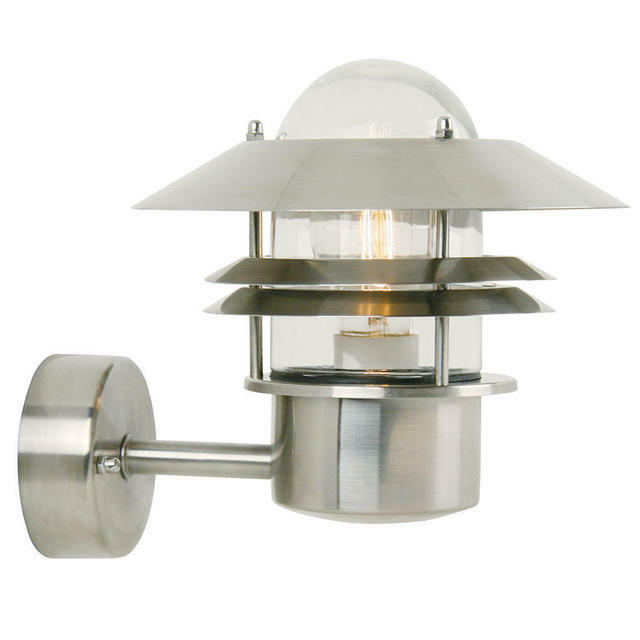 Small Danish style outdoor light. 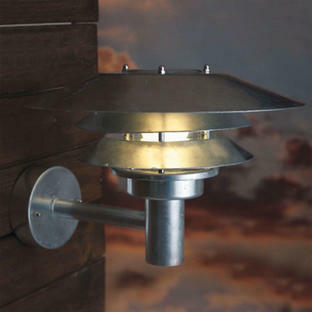 Blokhus is an up wall light, suitable for entrances and outdoor locations such as outdoor walls, balconies and terraces. 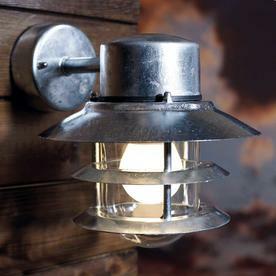 It is also available as a down light in galvanised only. 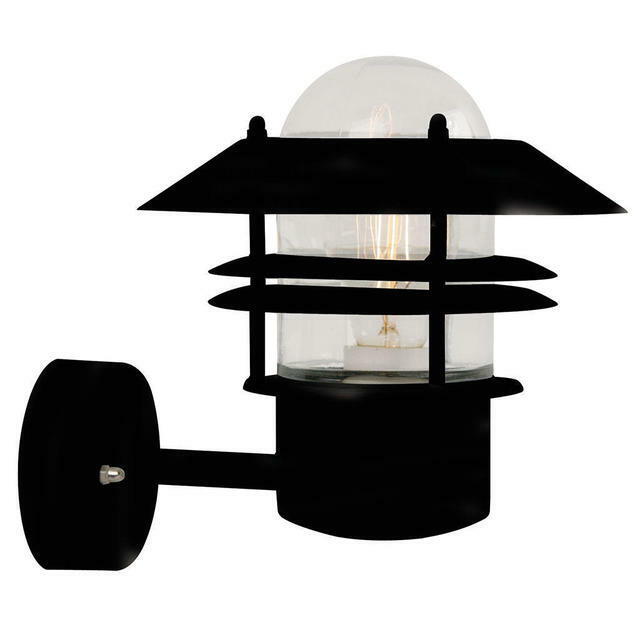 Blokhus is available in either black, stainless steel, galvanised steel or copper. 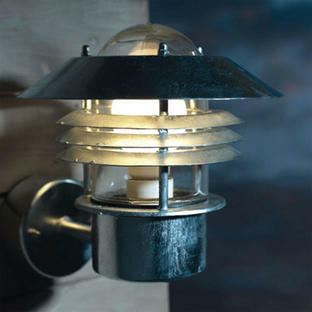 Made in metal with a clear glass lens. 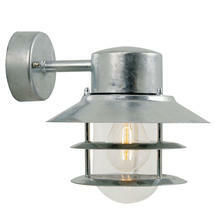 Takes a max 60W E27 bulb. 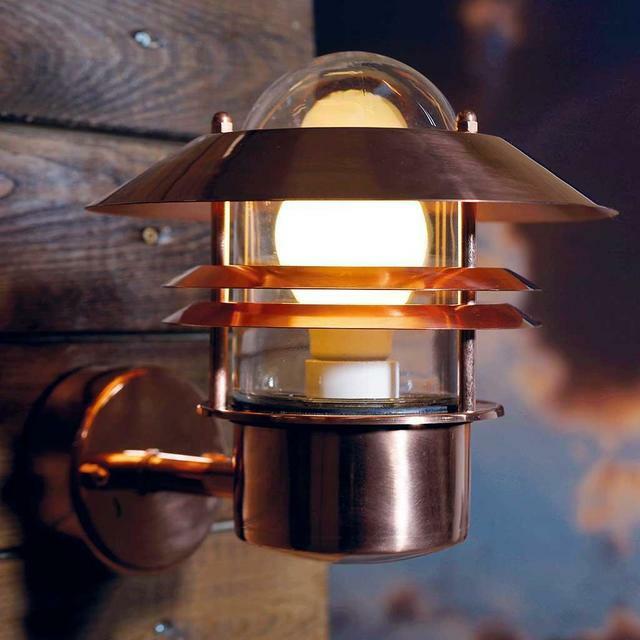 For the best lighting effect with this lantern try the Gas Filament Style Lamp. The Blokhus up wall light is also available with a PIR sensor. Also available in this range is pillar lighting. 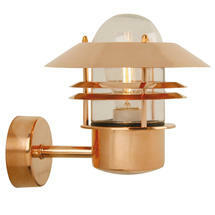 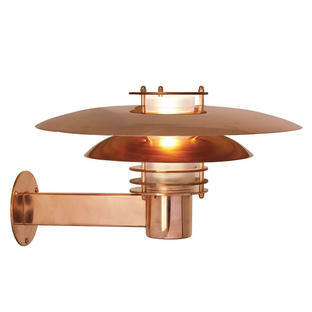 The galvanised and copper wall lights have a 15 year anti-corrosion guarantee. The stainless steel wall light must be treated with acid free oil (provided with fitting) prior to installation then repeated 3-4 times a year to maintain the finish. 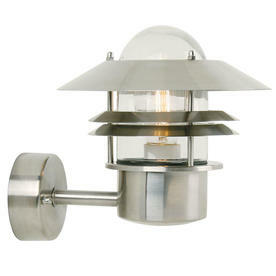 We do not recommend to installing stainless steel lighting in an coastal environment. Please note if you are in a coastal area we would recommend installing galvanised lights.